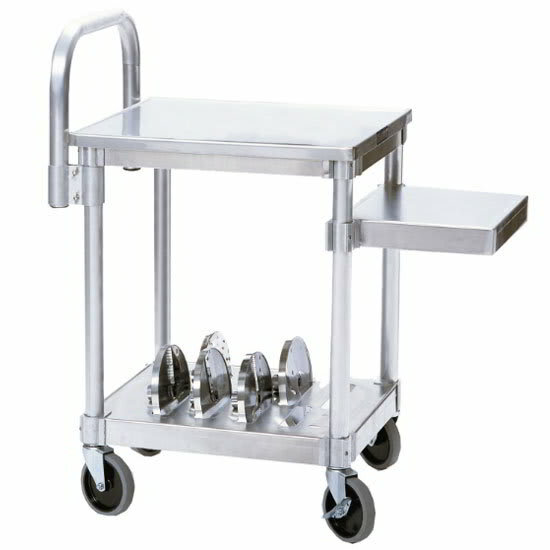 This Robot Coupe Robo-cart features a stainless steel shelving insert with ten slots made specifically for Robot Coupe cutting discs. 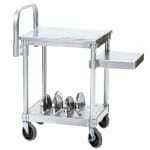 This cart offers heavy-duty aluminum handle and shelving for easy cleaning. The shelf and handle are adjustable for customizable height.